Dr. Dex | Excel2Propel | Developing Excellence for Life! Dr. Dex - Aerospace Pioneer | Reconciliation Ambassador | Excellence Cultivator. He's a "Dextraordinary" Person with a "Dextra" Special Message! He's a speaker in high demand focusing on topics of Aerospace, STEM, Faith, Family, & Excellence. Dr. Dexter Johnson is an Engineer, Educator, Entrepreneur, and Minister. He was born and raised in Buffalo, New York. 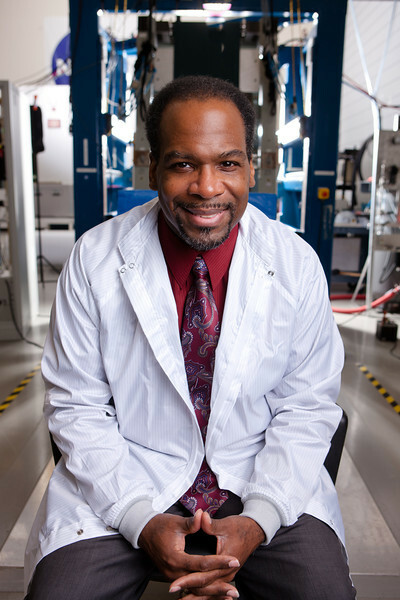 Dr. Johnson is employed at the NASA Glenn Research Center at Lewis Field in Cleveland, Ohio, where he serves as the Chief of the Structural Dynamics Branch, and has worked there since 1990. He also is the co-founder and Chief Operations Officer of PhiDex Enterprises, LLC. He is affectionately known as "Dr. Dex"! He is committed to helping people "Develop Excellence"! Find out more about Dr. Dex at https://twitter.com/DrDexterJohnson.